The mutation lab utilizes Tetrahymena strains carrying temperature sensitive mutations in genes involved in cell division. At permissive temperatures, the cells are normal, but when shifted to the restrictive temperature, they exhibit easily observed and characterized changes in morphology. This is a clear and simple demonstration of mutations, how temperature sensitive mutations work, and the effects of permissive and restrictive temperatures in a safe, simple system. The module can be expanded to look at the long and short term effects of exposure to restrictive temperatures and recovery parameters, and can be combined with other modules, to stimulate student development of independent inquiry projects. For more advanced classes, these mutants can also be used as a basis for genetic investigation of dominance and recessiveness, and gene complementation. This cell line carries a temperature sensitive mutation that causes cells grown at a high temperature (restrictive or nonpermissive temperature) (> 37°C ) to become very round and fat, with abnormal swimming patterns, while cells grown at lower temperatures (permissive temperature) (< 32°C) show normal morphology and swimming patterns. Compare the shape and swimming motion of these mutants with the “balloon animal” mutants and the normal cells. “Fat” cells grown at the restrictive temperature can only survive for a few days. A nice discussion of different types of mutations can be found at http://en.wikipedia.org/wiki/Mutation. This cell line carries a temperature sensitive mutation that causes cells grown at a high temperature (restrictive or nonpermissive temperature) (>37°C) to become very misshapen, often forming long protrusions that stick out from the cell. When the cells are grown at lower temperatures (permissive temperature) (<32°C), morphology and swimming patterns are normal. 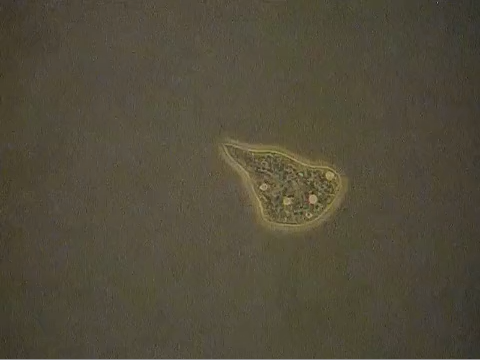 Compare the shape and swimming motion of these mutants with “fat” cells and the normal cells. “Balloon animal” cells grown at the restrictive temperature can only survive for a few days. See the discussion of different types of mutations at http://en.wikipedia.org/wiki/Mutation. Normal Tetrahymena are torpedo shaped cells that swim using multiple rows of cilia along the length of the cell. Bogaerts P, Senaud J, Bohatier J. 1998. 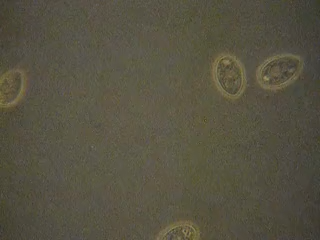 Bioassay technique using nonspecific esterase activities of tetrahymena pyriformis for screening and assessing cytotoxicity of xenobiotics. Environ Toxicol Chem 17 (8):1600-1605. Frankel J, Jenkins LM, DeBault LE. 1976. Causal relations among cell cycle processes in Tetrahymena pyriformis. An analysis employing temperature-sensitive mutants. J.Cell Biol. 71 (1):242-260. Frankel J, Mohler J, Frankel AK. 1980. Temperature-sensitive periods of mutations affecting cell division in Tetrahymena thermophila. J.Cell.Sci. 43:59-74. Gerhardt A, Ud-Daula A, Schramm K-W. 2010. 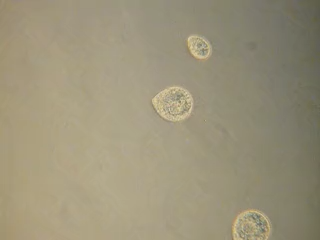 Tetrahymena spp. (Protista, Ciliophora) as Test Species in Rapid Multi-level Ecotoxicity Tests. Acta Protozool. 49 (4):271-280. Ghafari P, St-Denis CH, Power ME, Jin X, Tsou V, Mandal HS, Bols NC, Tang XS. 2008. Impact of carbon nanotubes on the ingestion and digestion of bacteria by ciliated protozoa. Nat.Nanotechnol 3 (6):347-351. Jauker F, Seyfert HM, Sgonina J. 1975. Temperature dependent changes of cell growth parameters in Tetrahymena. Exp.Cell Res. 96 (2):439-442. Larsen J, Schultz TW, Rasmussen L, Hooftman R, Pauli W. 1997. 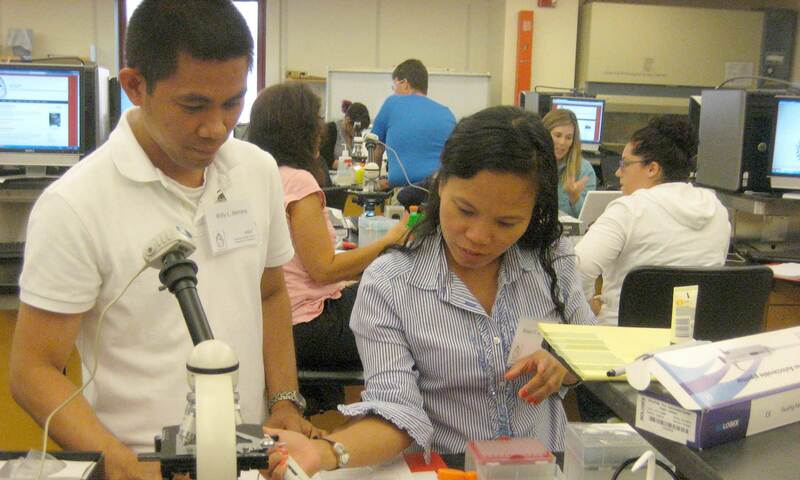 Progress in an ecotoxicological standard protocol with protozoa: results from a pilot ring test with Tetrahymena pyriformis. Chemosphere 35 (5):1023-141. Martindale DW and Pearlman RE. 1979. An enrichment for temperature-sensitive mutants in Tetrahymena thermophila. Genetics 92 (4):1079-1092. Nicolau A, Mota M, Lima N. 1999. Physiological responses of Tetrahymena pyriformis to copper, zinc, cycloheximide and Triton X-100. FEMS Microbiol.Ecol. 30 (3):209-216. Nielsen T and Villadsen IS. 1985. Pleiotropic Effects of a Temperature-Sensitive Mouthless Mutation in Tetrahymena thermophila on the Excretion of Extracellular Enzymes. J.Eukaryot.Microbiol. 32 (4):634-639. Orias E and Pollock NA. 1975. Heat-sensitive development of the phagocytotic organelle in a Tetrahymena mutant. Exp.Cell Res. 90 (2):345-356. Orias E and Rasmussen L. 1976. Dual capacity for nutrient uptake in Tetrahymena. IV. Growth without food vacuoles and its implications. Exp.Cell Res. 102 (1):127-137. Suhr-Jessen PB and Orias E. 1979. Mutants of Tetrahymena thermophila with temperature sensitive food vacuole formation. II. Physiological and morphological studies. Exp.Cell Res. 124 (2):317-327. Suhr-Jessen PB and Orias E. 1979. Mutants of TETRAHYMENA THERMOPHILA with Temperature-Sensitive Food Vacuole Formation. I. Isolation and Genetic Characterization. Genetics 92 (4):1061-1077.